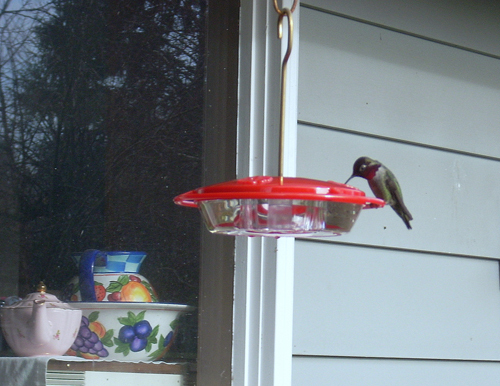 We have installed hummingbird feeders in front and back.Â The feeders have been pretty busy in the dawn and dusk hours.Â Honey makes new nectar every week in order to keep it fresh and our little hummers seem to appreciate it.Â We have begun to study their habits, and note which birds seem to make the best effort to claim the feeders as theirs.Â We have even started to name some of the regulars which help us track their usage.Â Tippy seems the most dominant, though Ducky makes frequent visits.Â Just the last few two weeks we have begun to see this red headed hummingbird quite every day as well. No name for him yet. 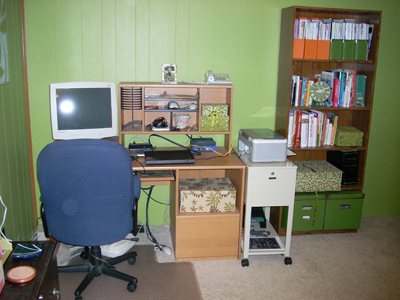 This entry was posted in Our Environment on November 29, 2009 by golinielcomblog. 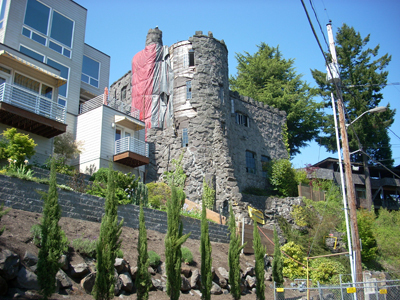 Demolition of the southwest Portland home known as the Canterbury Castle started back in May of 2009. We made a quick trip out to see it one last time. Haven’t been back there since that time, so unsure where they are in that whole process. And not much on the web about the progress.Â Guess the process of tearing it down is not as big news as the decision to start. 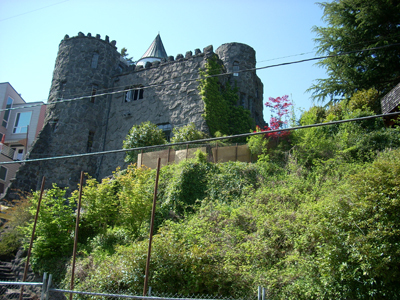 This entry was posted in Portland, Or, Oregon on November 27, 2009 by golinielcomblog. 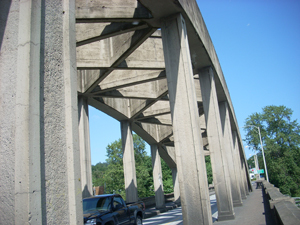 Remember, the Oregon City Bridge is closing after the first of the year. 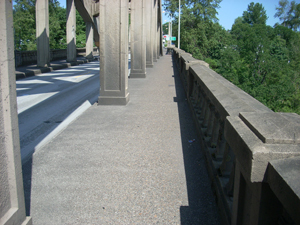 So, guess that means even more traffic for the Sellwood, Oregon’s most heavily travelled two lane bridge. Looks like they are going to be shuttling bikes and walker though. One more reason to ride a bike? 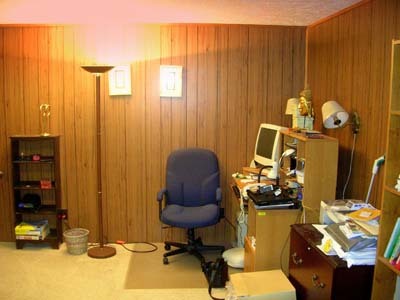 This entry was posted in I just don't fit in... on November 27, 2009 by golinielcomblog. 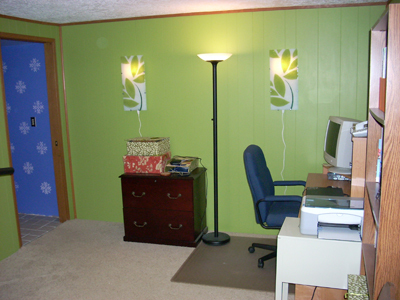 Earlier this year we renovated Honeys office space and bathroom. 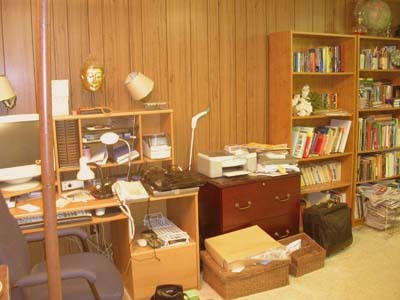 This entry was posted in Our Environment on November 27, 2009 by golinielcomblog. Poffertjes, are a traditional delicacy sold from poffertjes kramen (booths) in Dutch villages and towns in the Netherlands.Â Often they are sold from a colorful tent which is pitched at the village for a few days and moves on to market them elsewhere.Â We did in fact find a tent in a park during one of our rides, and it was there that we found shelter from the heavy rains, strong Dutch coffee and warm poffertjes. My first hint that these little things existed is when my firstÂ pannekoeken was delivered, with a shaker of powdered sugar that had a picture of what I mistook for Danish aebleskiver. I later asked our captains wife if they served aebleskiver, and while she was impressed that I knew of such a thing, no, they aren’t served here.Â We soon agreed that what I was thinking of were poffertjes.Â And while she attempted to insist that they would not be on the menu for the week, under relentless pressure from young Rhian, Linda did in fact surprise us with a small helping during one breakfast.Â That lead to the later treats under the tent during the rainstorm. Somewhat similar to a Danish aebleskiver.Â The differences being whereas the aebleskiver are round, and the size of a handball, the poffertjes are more clam shaped, about the size of a golf ball. Â And while the aeblskiver is slightly fluffier due to whipped egg whites, they are both very good when they are hot, and covered with butter and powdered sugar! Mix flour, sugar, and salt. Add water, eggs and oil.Â Mix well until batter is lump-free. Fry on poffertjes grill, or fry silver-dollar-sized pancakes in frying pan. (or try aebleskiver pan ~ ed. )Â To serve, spread with butter and sprinkle with powdered sugar. This entry was posted in Bicycling & Fitness, Bike Tours on November 6, 2009 by golinielcomblog. Here is a list of our mp3 music collection, stored on a desktop PC,Â usually played from itunes,Â that will someday be converted on to a digital music player for music inside and out.Â Eatch artist entry contains at least one, and in some cases many, complete albums.Â But I am focusing the collection on breadth of an artists , rather than complete discographys of selected artists. This entry was posted in Tivos & Other Technology on November 2, 2009 by golinielcomblog.